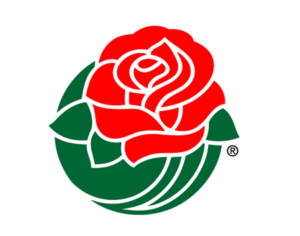 Fun Facts About The Rose Parade! • The first parade was staged by members of Pasadena’s Valley Hunt Club, in 1890. They wanted to showcase California’s mild winter weather, and organized horse-drawn carriages covered in flowers. They also had foot races, polo matches, and a game of tug-of-war. • In 1902, organizers decided to add a football game as a post-parade activity. The game turned out to be a flop, as Michigan trounced Stanford 49-0. • After the lopsided game, football was replaced with chariot racing (1904-1915). The football games didn’t make a return until 1916. • The Rose Parade is never held on a Sunday. If the 1st of January falls on a Sunday, the parade will be held on Monday, the 2nd. • The first local telecast occurred in 1947. It was broadcast on W6XYZ, an experimental station, which became KTLA three weeks later. • To decorate a float, it takes about 20 daisies, 30 roses, or 36 marigolds, to cover just one square foot. To decorate all the floats, you’ll need about 18 million flowers! • The Salvation Army band has marched in every parade since 1920. • 1901 was the first year they allowed motorized floats in the parade. • Shirley Temple Black holds the honor of being the only person to host the parade as a child and an adult. She was Grand Marshal in 1939, 1989, and 1999. • For the first time, the parade was intentionally stopped in 2001. This was done so the US Army Golden Knights Paratroopers could land in front of the VFW float saluting Bob Hope.